This week on ‘The Writing Life of:‘ I am thrilled to be interviewing author Jane Holland. 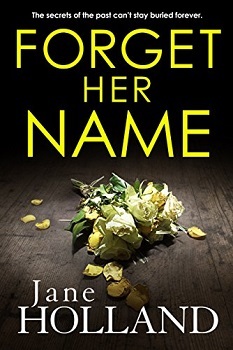 Jane will be sharing with us detail of her writing life, telling us all about her latest book ‘Forget Her Name‘, which was released on 25th January 2018, and answering a few fun questions too. 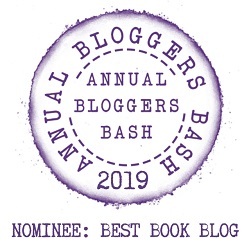 Jane Holland is a Gregory Award–winning poet and novelist who also writes commercial fiction under the pseudonyms Victoria Lamb, Elizabeth Moss, Beth Good and Hannah Coates. Her debut thriller, Girl Number One, hit #1 in the UK Kindle Store in December 2015. Jane lives with her husband and young family near the North Cornwall/Devon border. A homeschooler, her hobbies include photography and growing her own vegetables. I wanted to be a poet. And I achieved that, with five collections of poetry published, as well as my novels! J. R. R. Tolkien, Susan Cooper, H. Rider Haggard, Anne McCaffrey, Zane Grey etc. I was heavily into fantasy and adventure stories. When I was about 9 years old, my parents took me to the house of John Keats, the poet. I was totally thrilled by his sad romantic story, and memorised his Ode To A Nightingale the same night. I decided there and then that I would become a poet. Not a fiction writer, though I loved fiction. My mother wrote fiction, and I probably felt too much in her shadow to venture far along that road! I wrote poems and novels! I have never been one for deep thought, I prefer action. I married young and had kids straightaway though, so got consumed by childcare early on. I was writing most of that time, always writing a novel or a poem while looking after babies, but I was very diffident about sending work out. Because of that, perhaps, I didn’t publish anything significant until I was nearly thirty. My novelist mother died a few years later, and it was then that I began following in her footsteps and writing fiction in earnest. Yes, I prefer to do a minimum of 1000 words a day, and am thrilled if I can manage 2000 or more. But if that’s impossible because of other commitments, 500 is acceptable. I rarely go without writing anything at all, unless I’m in the planning or editing stages of a book (which luckily don’t last long), or it’s a very special occasion. I even write on my birthday and Christmas Day. I have multiple pseudonyms and have published successfully under all of them. The ones I own up to (LOL) are: Victoria Lamb, Elizabeth Moss, Beth Good and Hannah Coates. There are quite a few others ..
Not really, I’m pretty pedestrian in my ways. Except that I write more fluently, in general, when out at a cafe or in a place that is not my home. (Having five kids may have something to do with that!) When a deadline is looming, I often rent a lonely cottage or go to a chain hotel and write there for a week or so. That way I can finish a book more quickly. Straight to keyboard on my laptop, mostly. But in the summer, I like to write longhand outdoors where screen glare would be a factor, then type it up later. And when I’m really going for it, I sometimes use dictation software to save my poor fingers! Yes, absolutely. I swear at the screen when people are unnecessarily rude. One Goodreads reviewer once suggested I should be burnt at the stake. A writer is not allowed the right of reply though, even to that kind of abuse. I try to learn from comments where a reviewer has made a fair point without being unpleasant. Though what can any writer learn from a 1-star review which says: ‘This did not download properly on my Kindle’ or ‘I haven’t read it yet’? I’ve been in this job two decades now, and had quite a few of those over the years! Maybe a year. Though that’s the publisher’s timeline in action. I write most of my novels in about 8-10 weeks. I just pick a name at random, often gazing round the room vaguely, and if it fits that character, and isn’t too similar to another character’s name, I’ll stick with it. Catherine volunteers at a foodbank charity. She likes to help people worse off than herself, because she sees so much poverty in London and feels guilty about her privileged background. I can’t tell you, it would give away the plot! I love three-word titles – all my thrillers so far have been three-word titles: GIRL NUMBER ONE; LOCK THE DOOR; ALL YOUR SECRETS; and now FORGET HER NAME, which just came to me when thinking about the plot. My husband, who has been a fiction editor too, as I have, usually reads through my books before they go off, just to spot any continuity errors and the like. He doesn’t tend to comment on the plot. I submitted a synopsis to my current publisher, who accepted it. When the contract came through, I wrote the book. The manuscript then went through various edits: developmental, and line edits, which is standard procedure with that publisher. That process took about 6-8 weeks in total, maybe slightly longer. That’s where my job ends – until I have to promote the book on social media! Carried on working on edits, spellcheck etc. Once the book was sent off, I simply started planning the next one. I don’t tend to celebrate except to treat myself to a slice of cake, perhaps. I feel lost if I’m not working on a book. Even for a few hours! I’m currently writing a thriller set on Dartmoor in Devon, near where I live. Too hard! I love pop music and listen to a wide range of songs while writing, old and new, especially on Youtube. At the moment I’m loving the hilarious video for Miike Snow’s very catchy GENGHIS KHAN. A slice of carrot cake. Followed by a large house with room for a snooker table! You can find out more about Jane Holland by visiting the website/social media sites below. I would like to say a big thank you to Jane Holland for sharing with us details of her writing life, and for a wonderful interview. Great interview, I always enjoy the “fun” section. I’ve been seeing this book on Goodreads and love the sound of it! Great interview. I love your author interviews! Great response to the Duck question! “Plot is God” This is a funny way of putting it. I love that attitude. I added this to my amazon cart about 20 minutes ago…lol looking forward to it. I love how inspirational your author interviews are! Great Interview I never heard about this author or her books until now. Thank you so much for sharing and putting this author and her books on my radar. I really love your author interview posts! I think they’re so introspective and brave (because I’m too shy to ask). Great post! It is always a fun to read author interviews. I have to to say that her writing day is absolutely goals. You are very welcome. We loved having you on the blog.